It’s been almost a week since I saw one of the most anticipated Estonian films of the decade – Truth and Justice by Tanel Toom. A film that tells a harrowing story of life, family and honor. But while the film’s themes are imbedded in the past, its message reflects the present and asks questions about the future. It’s also a film that might seem strongly connected to Estonian history, and yet, it manages to convey a universal message. Here are my thoughts on it. Part of me was quite certain I was going to love the film before I even saw it unfold. It was its trailer, which seemed heaps and bounds ahead of other Estonian films that have been made before it. Truthfully, and this is something I’m ashamed of, I’m not a big fan of Estonian cinema. It’s not that it’s bad, but it lacks something that I think Truth and Justice managed to find. Something I find even hard to describe because it’s more to do with feeling than something intangible. And, like I said, that feeling feels universal, even among a story that is so strongly rooted in the Estonian culture. Based on a book by Anton Hansen Tammsaare, Truth and Justice tells a simple story. It’s 1872, and a young man Andres and his wife are the new owners of a farm, at Robber’s Rise. Andres starts to build a life in that farm, a life for their family and their future kids. But the work is not easy and his neighbour does not make it any easier. Despite the advice to keep away from making any deals with his spiteful neighbour Pearu, Andres asks his help. They end up building a ditch together, to keep the water away from the fields that would help Robber’s Rise to flourish. The neighbour of course deceives him, and that is the first of many court cases between the two men. With a lot of story to tell, 24 years worth, the film does so in almost 3 hours. But it never drags, because there’s always something to witness. There is no scene that feels like it’s too much. Everything fits together, every scene feels important and a crucial element to the entire story. The film has humour, even in the midst of dark times. There are a lot of emotional moments, but they come and go, just as life goes on. Most importantly, there are so many life lessons and so many heart break. In the heart of it, there’s just a really well told story. The actors, ranging from experienced to less experienced on screen, are all amazing. It’s the subtlety of them, the moments when they’re telling a hundred things without saying them, that makes the film work. It’s all too often that an actor forgets a camera sees more than a person might – nobody here ever forgets that fact. 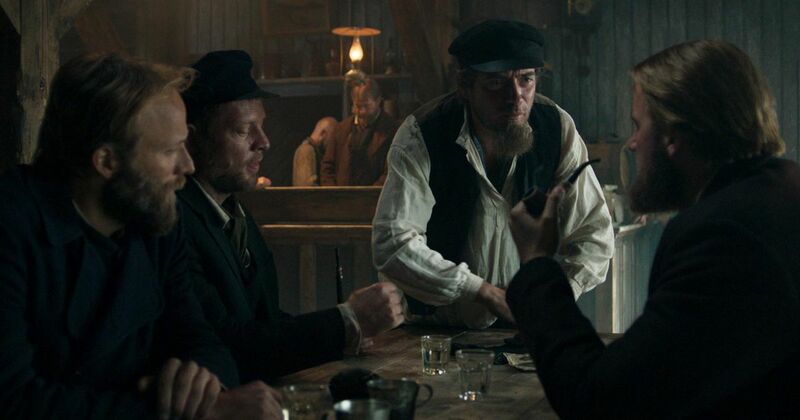 Main roles are portrayed by Priit Loog and Priit Võigemast, both give amazing performances. Loog especially shines because his character is so complex to a point where you as a viewer are more conflicted than him. Võigemast holds strong against him, never really overpowering him but always feeling like a worthy opponent. There is also Simeoni Sundja, who felt so authentic and honest throughout. His performance was the biggest surprise, as it really stuck with me. Even a week later, his story is what is constantly on my mind. This was literally his first big role and if this is what he starts with, man, I want to see where he can go! Then there are characters, who are never really in the spotlight. One of which is played by Indrek Sammul, who I have had the opportunity to interview for a school paper. His role is there to provide support, figuratively and literally. Then there are the women. Maiken Schmidt takes on the role of the wife. The quiet, hardworking woman, who does not shy away from work even while pregnant. She is all heart but all stone at the same time. Soft, when she needs to be, tough when she has to be. There is a few scenes where she stands out, but in the end, it’s Ester Kuntu, who steals her thunder. Kuntu is a force to be reckoned with in this film. She is golden, bright and to see her progression in those 24 years, is to see what life in the past really meant. There are scenes in the film that really gut you, and in more than half of them, Kuntu is right smack in the center of them. The film really does gut you and makes you wonder. There is no way for me to explain this without spoilers but I’ll say this. There are films that try to tell a story bigger than the actually story. Truth and Justice is that film. It sets off as being a film about a man working hard to provide a future for his family. But it ends up being a film about meaning of life itself. There are so many films that do this, some better than others. Truth and Justice is better than some, and it’s because it doesn’t shy away from the honest truth. That sometimes, there truly is no truth and justice to life. The film’s success is, in my opinion, is all thanks to Tanel Toom. A young Estonian filmmaker, who wrote and directed this film. Truth and Justice is his first feature film. I hope he makes many many more. His vision was clear and he knew the story he was telling. He also, very well I might add, played around with the narrative. With such a huge book, not just in terms of its size, but also its meaning, you have to have a very clear direction. Toom knew what he was doing. He knew how he was going to show it, and it’s one of the few Estonian films I’m actually thrilled to watch again and again. So you could say I loved the film, and you would be right. But with all of that, I must mention there’s still a long way to go in terms of Estonian cinema. While Truth and Justice shines from script to acting, from direction to the cinemaoptraghy, there is also room for improvement. For instance, the makeup could have been less pretty, more realistic and might I say, less commercial. The set design could have also shined away from being as clean. And well, the usage of green screen was maybe a bit too noticeable to a person like me (while my mom, for instance, had no idea). But those things don’t take away from Truth and Justice. Rather they prove a point that there’s room to grow, and Estonian cinema has not yet founds its peak. Which, may I say, excites me a lot! There are many things I wanted to say, many themes the film explores but it would mean spoilers. So if you do end up watching this film, let me know, and I’ll be happy to share my thoughts. That’s one hell of a run time but since you speak so highly of this movie I’d definitely watch if I get a chance. I wonder if Estonia will submit it for next year’s Oscars? The only Estonian film I’ve seen is Tangerines, which I loved, so I’m of course game to see another film from your home country. Great review! I’m 100% certain it will be submitted for the Oscars, and I’m pretty sure it will at least get a nomination. I saw it for the second time today! ME!! Who hates 2h+ movies and gets bored, so I’ll say this, it will go by quickly. There’s always something happening. The narrative fills the almost 3 hours so well!